Atheists are launching a new wave of attacks against Christianity and faith in God, claiming that they have a more enlightened, scientific, and sophisticated worldview. Despite what these New Atheists might think, this is nothing new, and Dr. Louis Markos confronts these recycled claims in his book Atheism on Trial, showing that they have already been disproven by Christian thinkers of the past and how you can use the same solid logic to silence these claims today. 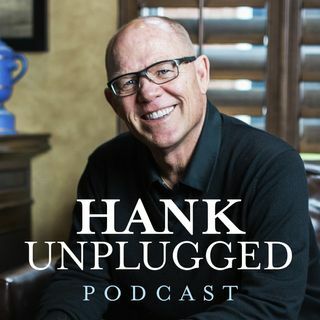 On this edition of Hank ... See More Unplugged, Markos joins Dr. Larry Johnston (pinch-hitting for Hank while he is overseas speaking at a conference) to discuss why it is time for Christians to stand up and challenge the atheistic assertions of popular narratives of our day. Are you ready to put atheism on trial? Topics discussed include: the modernist narrative and the problem with "chronological snobbery" (2:30); the distinction between narrative and metanarrative and the significance of metanarratives (5:55); the importance of obtaining objective distance to better understand our behaviors and reactions (10:50); do we live in a clockwork universe? (15:00); looking to the pre-Socratics to show that the so-called "New Atheists" are merely pedaling old ideas (19:50); the theistic implications of the Big Bang and how dedicated materialists such as Carl Sagan and Stephen Hawking avoided them (25:30); "Houdini hermeneutics and the sense in which Darwinism is a myth" (32:00); who was Spinoza, and what did he mean when he said that God and nature are one? (38:00); examining intelligent design and some of the absurd theories people have come up with to avoid it, such as panspermia (41:35); why David Hume was wrong when he said that miracles are impossible (49:25); how God reveals Himself through both creation and the Bible and why it is important for Christians to be conversant in both (1:00:20); examining the problem of pain (1:05:45); comparing the God of Abraham from the god of Aristotle (1:10:05); how Karl Marx changed the metanarrative in an extremely destructive way (1:13:30); how the secular enlightenment stole the idea of human dignity from the Judeo-Christian ethic (1:19:00); and Christianity and Stoicism (1:20:20).